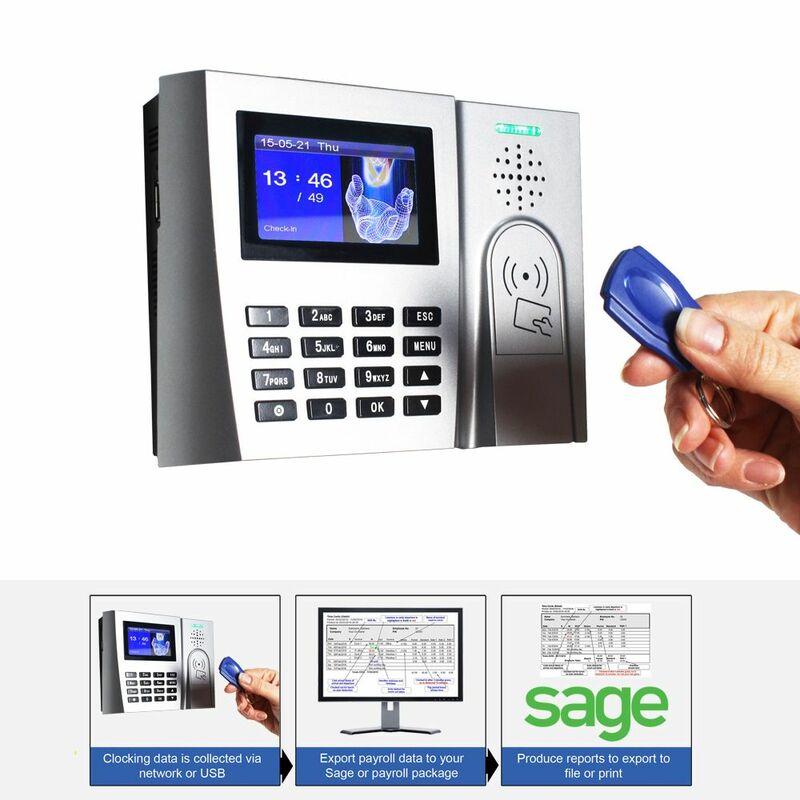 ProxTime 200 is a best selling robust, fully featured clocking in machine solution with holiday and sickness calculations, network ready, Fire Roll Call, Sage Payroll Import, additional Payroll Export, Key Personnel Displays & 12 Months free Support from Time Systems UK. 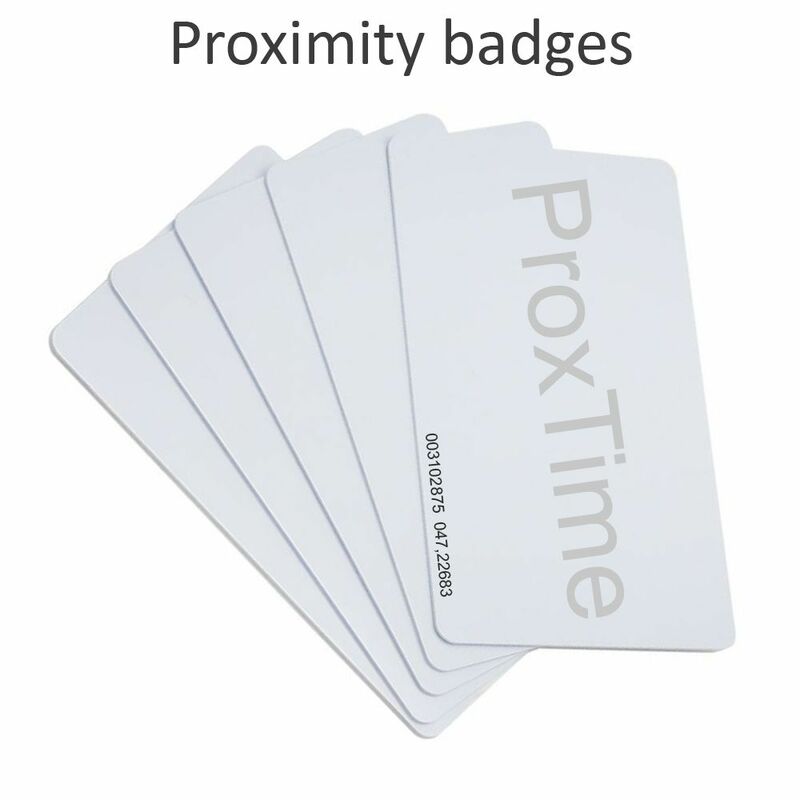 Each employee presents their badge or tag to the terminal and once recognised this creates an in/out transaction. The terminal displays the result of the attempt along with an audible message. There is no doubt if they have been accepted or rejected. 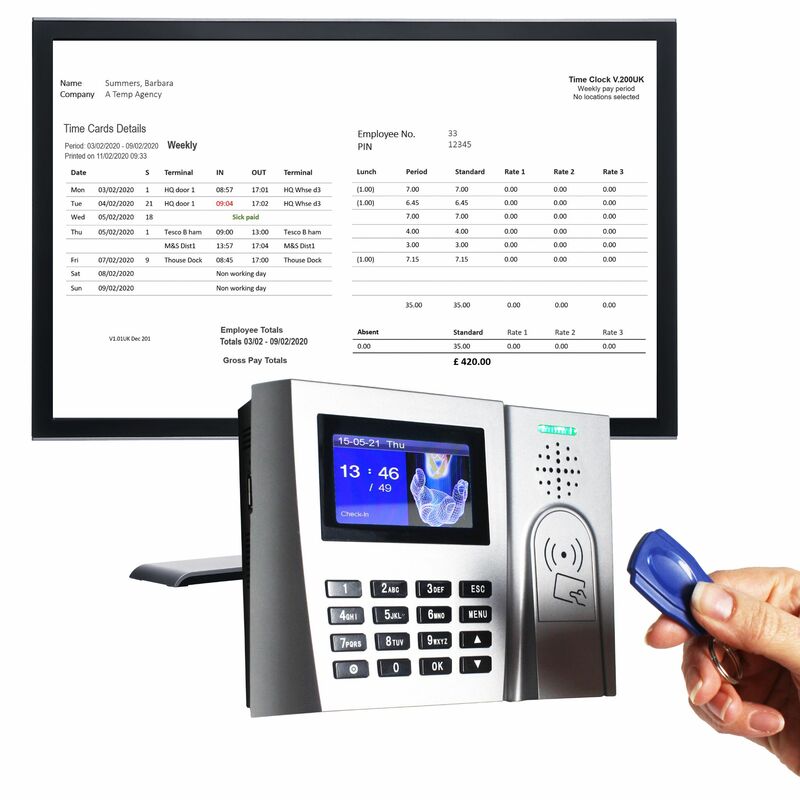 The ProxTime 200 software at the PC also allows authorised personnel to add, modify or delete those transactions. The terminal is normally connected to your network for ease of use. ProxTime 200 Terminal, Time and Attendance software, Sage Payroll Import and Payroll Export on CD. Mounting Backplate, Network Cable, 3 Pin Power Adaptor. ProxTime 200 software has intelligent rounding rules so you only pay for the exact time worked. Round forward/back for late arrivals, long lunches, early departures, lunch not taken - so you only pay for the hours worked. ProxTime 200 software only operates on Windows platform and is multi-department, multi-company and can run on a stand-alone PC or networked. ProxTime 200 can export to almost all known payroll systems. ProxTime 200 comes complete with PayStandard Software - Our Sage Payroll import program. With a PayStandard payroll link these figures can be imported into Sage Payroll, safe, reliably and automatically. You can export your time card and other data from ProxTime 200 for use in other payroll packages or Excel spreadsheets. ProxTime 200 exports all data to a file in CSV format for use in Excel and almost all known payroll systems. ProxTime 200 Automatically calculates the correct figures for payroll.